Von Rief German Shepherd Breeders currently have happy, healthy German Shepherd puppies for sale in Colorado. The family-owned-and-operated breeder, located in Colorado Springs, meets all of the CO breeder licensing requirements and is an American Kennel Club (AKC) inspected facility. Von Rief’s German Shepherds have high levels of trainability, suitable for Schutzhund, AKC agility, obedience and other ring sports. Each German Shepherd used in the breeding program has had their hips and elbows either OFA or SV certified. For our litters bred in the United States, Von Rief German Shepherds requires at least one dog in each breeding pair to be tested and clear from degenerative myelopathy. This ensures that those puppies are not at risk for degenerative myelopathy. Your German Shepherds’ future begins with a quality breeder, which is why each puppy comes with a three year health guarantee and age appropriate puppy vaccinations. Von Rief German Shepherds also ensures your puppy has been de-wormed and microchipped. Von Rief German Shepherds combines excellent temperaments with superior bloodlines, resulting in excellent working dogs, show dogs or your family protection companion. 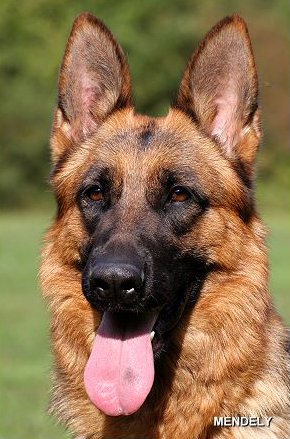 Von Rief German Shepherds welcomes your visit to their kennels in Elbert, Colorado. For more information about available German Shepherd puppies, contact Von Rief German Shepherds today. Make an appointment to come visit us today!